Portable buildings could be the perfect solution for your accommodation needs. Whatever you require the space for portable buildings are cost effective, multi-functional and suitable in almost all locations. 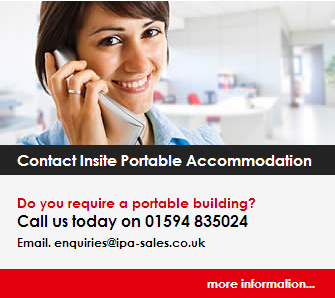 Read on to see just a few reasons why portable accommodation is the smart choice. Choosing portable accommodation is already more cost effective than renting a building or space in a building. Adding to this, many portable buildings are pre-owned which makes them even better value. The construction time of portable buildings is also far less than a regular building so there is added savings on construction work and you should see an early return on your investment. Whether you require a portable building for an evening class, as an office, a classroom, anything you need it for portable accommodation can be tailored to work for you. With portable buildings you are essentially working with a blank canvas that can be transformed to suit your specific requirements. You can choose a building that has the right amount of space you need, for example if you require the building for an exercise evening class than you will be able to select the portable building large enough with the right features to suit these requirements. There are many different types of portable buildings available for sale or hire which gives you far more flexibility for your required needs than a regular building. Portable buildings are available in multi-story and single story, modular buildings, anti-vandal units and numerous different sizes and price ranges. One of the major advantages of portable accommodation is the location. There is no fixed location for these buildings so wherever you need the building to be it can be placed there. There is especially useful in rural communities where other alternatives may not be an option. Portable buildings give you the freedom to work from where you want to work. Once you have built your portable accommodation you also have the option to move it again if so required. The time and work is takes to construct a portable building is far less than that of a regular building which is a major advantage. By opting for a portable building you are reducing noise and pollution levels on site during construction, increasing speed as a portable building can be completed far faster than a regular building. Next time you need a space or room for your accommodation needs try a portable building you won’t be disappointed.